Ice's SS's screwed up and ry "Doesn't screen his losses". Hexx says he screens everything, so he might havve them. How many CF's has KOP had? And how many did they win? Lol. I wanna CF someone. Maybe in arena, that's where I'm pro at, but I can ROK too. What are you talking about Hexx? We already CF'd you and Ry and arena already. We won 3 to zip. But if you wanna do it again, its fine. Also, I don't think KoP has ever won in any CF's. They won one level against us but not the whole CF. It was 2 - 1. SoDoMiZeR wrote: No, I was jumpin around and hexx thought I didn't notice him. When I was able to shoot I turned around and shot him. You're the one who wanted to fight at talismans, so it was your own dang fault. Yeah, it would've been better for your sakes to go straight to city 4. Yeah, you're right about one thing. It was my fault to leave IceKilla standing still. Next time I'm fragging you both and I don't care if you're standing still. Dumb way to win, but whatever, take it. Lol. I do better solo anyways. SoDoMiZeR wrote: How many CF's has KOP had? And how many did they win? Lol. I wanna CF someone. Maybe in arena, that's where I'm pro at, but I can ROK too. You have to understand, comparing somebody like Carlos with IceKilla isn't exactly something worth talking about big. That's like saying you defeated an ant with your foot. Kudos. icekilla wrote: What are you talking about Hexx? We already CF'd you and Ry and arena already. We won 3 to zip. But if you wanna do it again, its fine. Also, I don't think KoP has ever won in any CF's. They won one level against us but not the whole CF. It was 2 - 1. Best out of three's dumb. I'm not doing that anymore. How nice. [KOP] got thrown a bone and they took it. Lol. That's just sad. There's nothing about that in the manual from what I've read. As far as I know, people have created whatever rules, so people can create it how they like. To me, it makes more sense that if you win a game, then it's a game won. Best out of three can be an option, as could best out of five or even higher. Those make sense to me to, but I prefer the idea if a game's won, then it's a win, instead of carrying it for another game or two to make it an offical win. Best out of three only makes sense in those fighting games to me, to decide a winner, but for something like this, it's not needed. 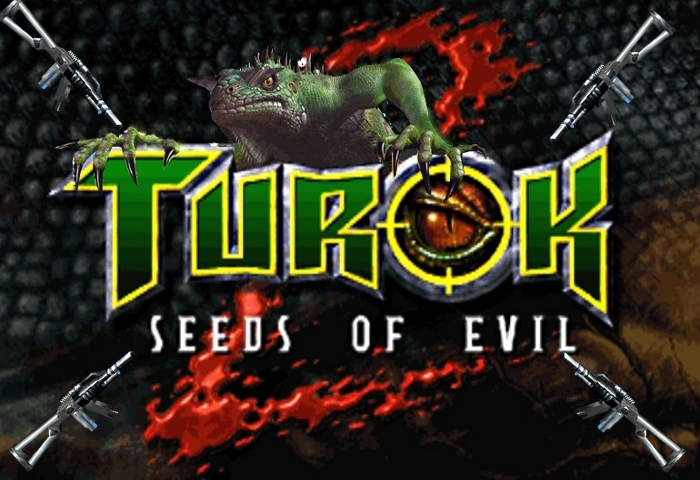 These Turok 2 games don't last for one minute. 2-3 maches makes more sense because people may not like the level that is chosen at first. For example team 1 hosts and chooses caves 2, which team 1 always plays at, the second team gets a lower score and has a chance to make it up at the secnd match. So team to asks for say city-4, which makes it even as both teams got a chance to play, everyone wins. It doesn't make more sense. It's just one's opinion about the subject. If you like the idea of playing a 10 to 20 minute game, winning and then it's not an actual win, then that's your choice, but that's not how it'll be for me. As I siad, this isn't some Street Fighter game where you have 1 minute to fight to see who wins. Best out of three's for fast games, not long ones, but it can be for long ones if the people choose it to be, but that's not for me. The best thing to do's just to shuffle the levels randomly and play it from there, as one can do with an integrated server. That way you play whatever level and it's selected randomly. For Rok Match games, just take out the big levels, such as City 1 and that huge caves level. I think it works the way i said in nearly every online game.. When kBg* hat the two clanfights vs KOP, we played 3 matches because we just decided to continue playing, but actually the clanfights were over after our 2nd win..
Best out of three is like frag limit 20, good. best 2 out 3 is better because both teams can choose their own maps then. 1 map is also too fast, especially when u play against KOP.